One of the smallest country in Europe is Luxembourg. It is one of the bucket list and most recommendable if you are staying or traveling around Germany, Belgium and France. There are direct trains or buses from those countries that makes it easier to access and come to Luxembourg. Every time we travel, one of the things we look for is our accommodation. I made a blog regarding things to look for while searching for a great accommodation that will surely help you 100%. 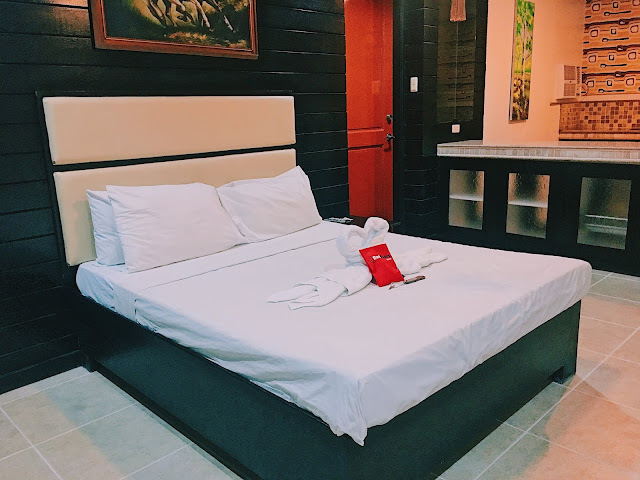 You can look into that blog so next time you are going to travel, you will surely be able to get the best accommodation that is suited on your taste! We stayed in Luxembourg for 3 days and 2 nights, good enough to be able to visit the best places in town. As what I´ve said on the first part of this blog, Luxembourg is just a small country that is suited if you are planning for a short vacation. Finally, I booked our accommodation in Le Chatelet, a 3 stars hotel. What I noticed before booking our accommodation? Flights are cheap but accommodations in Luxembourg is a bit expensive. Its location is in Bd de La Petrusse 2, Gare, 2320 Luxembourg, exactly 1.1km from the center. From the airport, you can ride a 20 minutes bus going there and walk less than 5 minutes. The only bad thing is the heater that you can hear the water from it and it keeps turning on and off so we felt cold on our first night. The next day they gave us a portable heater that really helped. Thanks for sharing! My husbands family is from Germany and we’re planning on visiting soon! This is a great guide to plan our vacation. Thanks! I would love to visit Luxembourg one day, we traveled to Europe two years ago saving so that we can come back. Thanks for the tips and recommendations. It sounds like you had an amazing time in Luxembourg, it is somewhere I have never been but would love to go to one day as there seems to be so much to do there. Sounds like you had a great stay in Luxembourg. I was supposed to go, I had flights booked, but then the airport closed for renovations so I ended up with tickets to Malta instead. I need to start travelling, I only go to the same places everytime but I need to change that. I have never been to Luxembourg but hopefully one day. This sounds like a great trip.Luxembourg seems to be one of those underrated places that people should visit. I've never been to Luxembourg but it sounds like such a wonderful place to try. I am always willing to pay for breakfast if they have good options. I'd like to go here one day. It sounds like a beautiful place to explore. I'll keep these places in mind to stay. I would love to see some pictures! Do you have any to share? We stayed one night on route from Amsterdam to France and decided for a short stop in Luxemburg. Le Chatelet is a good location to see Luxemburg by foot. Clean, nice beds but no A/C. Private parking. Ask for a room not facing the intersection as it is very noisy on weekdays. I love the idea of using Luxembourg as a gateway to the rest of Bavaria. There is a large military base in Germany and I think that Luxembourg is an underrated destination. Any place that has breakfast, a restaurant, a fitness center, a bar, parking and free wifi is a win in my book! YAS!!!! Sounds like a cool place to stay! One day I will get the chance to travel and explore Luxembourg. Great ideas for taking a trip. Seems like a great place to stay in Luxembourg. I hope one day I can visit Europe and explore its countries. Nice! looks interesting! :D Hope I'll get the chance to visit. Sounds like a lovely place to stay. I sure wish you had some pictures. I love looking at nice places and dreaming! Sounds like an amazing place to visit and stay. It would be better if you have some pictures to look at, though. Great post, nevertheless. Thank you for sharing! Luxembourg sounds really nice for staycation, but I hope that you have some beautiful photos of it. But I'm sure that I'll check it out. I like that there were 4 singles in the room and that everything was clean. I'm overdue for a little trip. Luxembourg is on my bucket list and I am saving this tip for the future! Wow, I never heard or read about anyone experiences in Luxembourg or staying there. This has a lot of useful information as, like you said, staying in the tiniest European country isn't cheap! I have never been to Luxembourg but when I plan a trip there, this will be my go to guide. Thanks for sharing! Thanks for sharing! Luxembourg is on my bucket list. This sounds like a beautiful place to visit. I have only been to Paris and London so I would love to explore Europe more. Sounds like a great place to stay. Would be rrealy great is breakfast was included. I really apriciate your honest review!